Every day, countless people avail the services of an auto transport company such as EasyHaul to ship their vehicles safely and that too within stringent timelines. What most people still don’t know is how auto transporters calculate their shipping prices. To clear the fog, we present a quick breakdown of all that goes into determining the shipping cost of a vehicle. 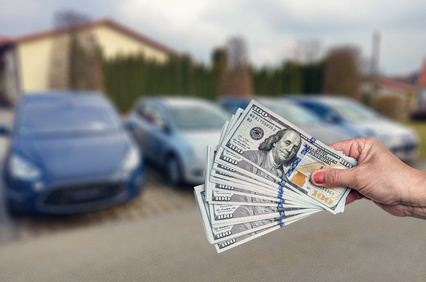 Read on to learn the factors considered by national and international auto shipping companies to decide their service fees. Take a look. Shipping large SUVs and pickup trucks is definitely going to cost more, compared to smaller vehicles. Auto shipping companies, therefore, factor in the size and weight of a vehicle in order to calculate its shipping pricing. That’s why auto shipping companies advise customers to remove all their belongings and detachable parts from their vehicles. This not only reduces the weight of the vehicle, but also mitigate any risks to their belongings during transit. In rare cases, auto shipping services allow customers to have anywhere from 50-100 lbs. of extra cargo in their vehicles during shipment. Customers, however, need to pay for the extra cargo. Distance is another factor that determines the price of transporting a vehicle. Shipping distance takes into account the pickup and drop points of a vehicle. International auto shipping that transcends country borders has higher quotes than domestic auto shipments within the same state or even across different states. It also matters whether the vehicle will be transported through land transport using a multi-car carrier, or will need to be shipped through a cargo ship. Fuel costs also come into the equation; if gas prices are low, customers get a lower transportation quote for moving their vehicles. All Set to Choose an Auto Shipping Company? Reputable auto shipping companies never keep any details about the pricing from their customers. Instead, they make sure that customers are clear about all details such as shipping duration, insurance costs and other such factors. EasyHaul.com specializes in both domestic and international auto shipping services and is has partnered with numerous shipping lines, freight forwarders, and auto auctions to provide customers with seamless vehicle transportation. For more information, simply call +1 (360) 597-9320, or drop a message here.